The SBA’s All Small Mentor-Protégé program offers a tremendous opportunity for participants to pursue set-aside contracts as joint venture partners. But misunderstandings and misconceptions about how SBA mentor-protégé joint ventures work are pervasive. One very common misconception is that the SBA must pre-approve a mentor-protégé joint venture. In most cases, that’s not so. In a recent bid protest decision, even the GAO appeared a little confused, repeatedly mentioning SBA approval of a joint venture even though no such approval was required for the contract in question. 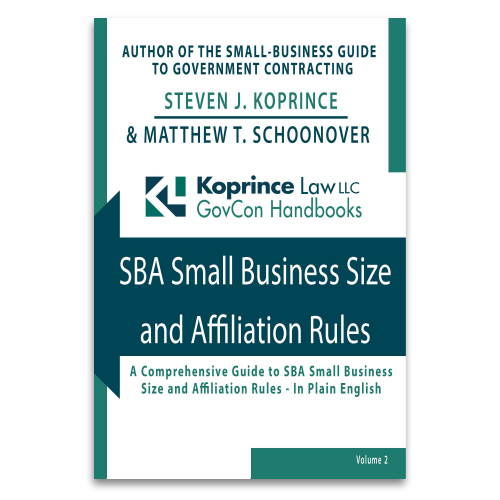 The SBA is considering eliminating the requirement that contractors obtain the SBA’s prior approval to joint venture for 8(a) contracts. There’s no doubt that eliminating the approval requirement would reduce burdens and expenses for 8(a) companies and their joint venture partners–but it could also lead to an uptick in sustained protests against 8(a) joint ventures. 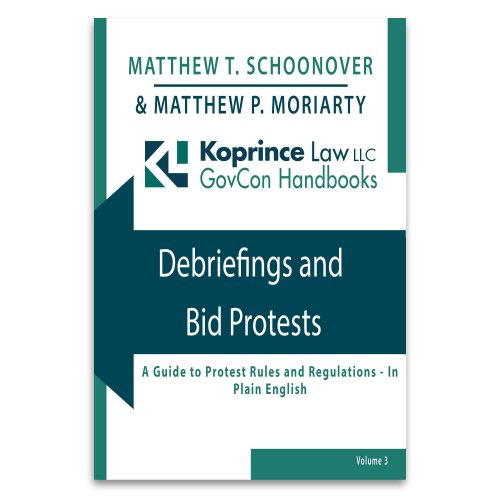 I am excited to announce the publication of Government Contracts Joint Ventures, the first in a new series of new government contracting guides we’re calling “Koprince Law LLC GovCon Handbooks.” Packed with easy-to-understand examples and written in plain English, Government Contracts Joint Ventures should help you maximize your understanding of this important option for pursuing federal contracts. What does the Handbook contain? I’m glad you asked. Joint venture partner or subcontractor? An offeror’s teaming agreement for the CIO-SP3 GWAC wasn’t clear about which tasks would be performed by joint venture partners and which would be performed by subcontractors–and the agency was within its discretion to eliminate the offeror as a result. A recent GAO bid protest decision demonstrates that when a solicitation calls for information about teaming relationships, it is important to clearly establish which type of teaming relationship the offeror intends to establish, and draft the teaming agreement and proposal accordingly.